One of the weird things that I’ve discovered about trying to write a series in bits and pieces is that there is no longer the sense of beginning and ending. Which is weird, when you’re a storyteller. 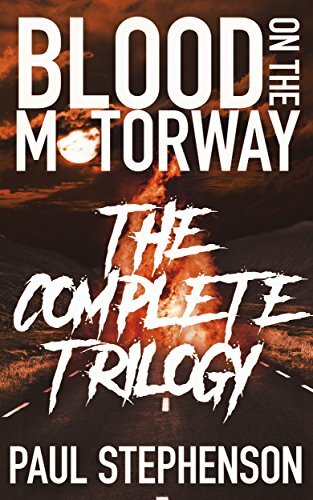 With the Blood on the Motorway trilogy, I wrote three books, in order, and didn’t think much about the next book in the series until I was done with the one before it. Thus, when I finished a draft, I got to do the thing where I celebrated, maybe had a glass or two of wine. Or a vineyard’s worth. It’s a very satisfying thing, to type The End. Now I’m writing a full six-book series, with interweaving narratives, plots that span years, and nothing where it was originally intended to be. I wrote an entire book but realised it was actually better split over two books and mixed in with other narrative threads that were written for what was originally book two in the series. Then, having looked at the timelines, I decided that some of those threads should really be in book three or four in the series. It all ends up a bit like Charlie in It’s Always Sunny trying to work out who Pepe Silvia is. That’s left some gaps, which is what I’ve been working on so far this year. Two timelines, one new, one a continuation of an earlier thread, which aren’t even going to end up in the same book. 50,000 words, all told, written alongside each other, feeding into each other, then to be torn asunder. It’s all a bit strange. Not only that but as I round the last corner of this chunk of 50,000 (I should finish it tonight if I get this update written quickly enough) my reward for completing two random strands is… two more random strands to write! Now, once those are done, I’ll have the first drafts of three whole novels, in the bag. Then will come the wine. After the wine comes the tough work of pulling them apart, seeing what goes where, judging the narrative arcs (more on that for another day), having an in-depth look at the characters, and all the other fun things that second drafts are for. But for now, after fifty straight days of hitting a thousand words, I feel burned out by the whole ordeal, and the thought of picking up two new strands sounds like hell on earth. So, that must mean it’s time to take a break, put the keyboard down for a bit, and focus on something else. That something else is going to be digging deep into some craft stuff. I’ve found some great tutorials that Brandon Sanderson did on creative writing on Youtube, and I’ve recently found the writing vids that Jenna Moreci does that are both insightful and funny as hell. That’ll probably lead to a whole rabbit warren of other things. Then I’ve downloaded some books on Craft, and I’ve been burning through the Story Grid podcast. Oh, and I have one eye on Aaron Sorkin’s Masterclass course because Aaron Freakin Sorkin. So, a week off words, a week (or maybe two) of diving into the craft, and then hopefully it’s back to the grindstone to pull another 50,000 words out of my arse before the summer. Blood on the Motorway – An apocalyptic trilogy of murder and stale sandwiches, is available on Amazon, iBooks, Kobo and more besides. If you want to know more about me or my books, you can follow me on Twitter, like the Facebook page, or follow me on Instagram. For news, offers, and special content sign up for the mailing list.